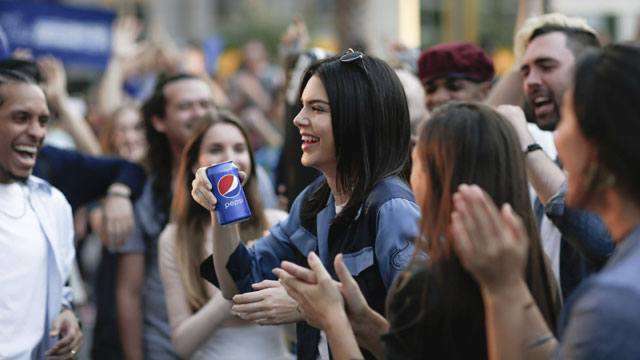 Kendall Jenner is receiving online backlash over her new Pepsi commercial. The ad shows the model and reality star joining a protest rally on the streets that promotes love and peace. Kendall then offers a canned Pepsi to one of the officers holding the protest line. The officer responds by accepting and breaking a smile in their tense formation after taking a sip. The ad seems harmless enough and actually tried to send a good message across but apparently not everyone was happy. Some netizens pointed out how it was unethical for Pepsi to capitalize on using the concept since similar protests that decried police brutality against black people recently occurred. Others found it disturbing that such a big issue was seemingly trivialized and easily solved with a can of Pepsi. The issue of the ad being racist was also brought up since the use of Kendall—a white and privileged member of society—as the central figure of what was deemed a black movement sparked outrage. Pepsi recently announced Jenner as the new ambassador of their brand with this ad being her first major project with the soda giant.